Richard P. Smith passed away November 10, 2007 in Houston, TX age 57. Preceded in death by parents V.P. and Genevieve. Loving father of Kimberly, Caroline, and Kevin. Grandfather of Zoe and Ivy. Also survived by brother Philip (Suzette) Smith, niece Emily Smith of Mequon, WI, and his faithful canine companion, Riley. 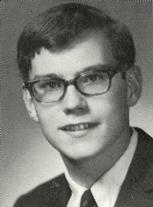 Graduated Whitefish Bay High School 1968. Attended M.T.S.U. in Murfreesboro, TN. Employee for 15 years of Helfman Ford in Stafford, TX. Richard's death from cancer was a direct result of 42 years of smoking cigarettes. He was deeply loved and sadly missed.